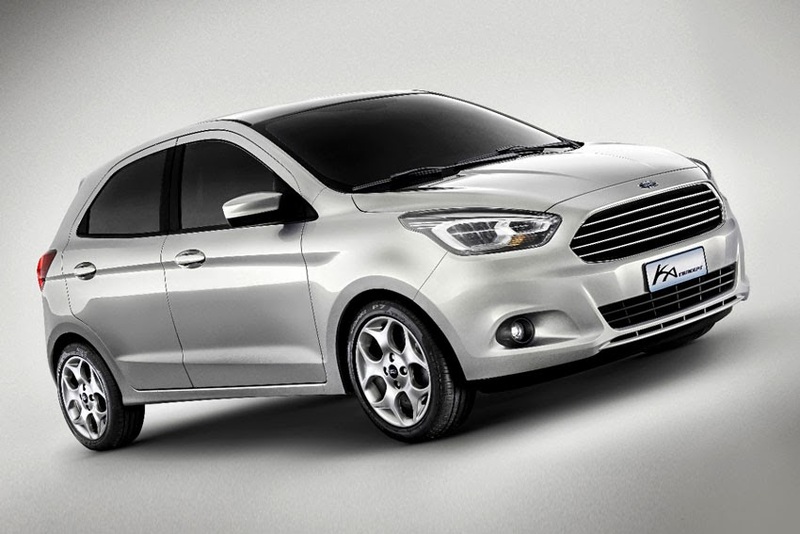 The all-new Ford Ka Concept - a sleek, compact hatchback that features bold design, quality engineering and innovative technologies - envisions a new choice for entry-level urban consumers in Brazil and other key markets around the world. here, Ford Motor Company Executive Chairman Bill Ford opened the ceremony at Ford's Northeast Industrial Complex in Camacari before an audience of consumers, media and employees. "Ford has a long history in Brazil, bringing development, jobs and growth to the region," said Bill Ford. "As an integral part of our global growth strategy, we are committed to bringing world-class products to Brazil and to helping the region create global vehicles for the rest of the world." Ka Concept expands Ford's portfolio of compact car offerings. The vehicle strategically positions the company to address global demand for sub-B compact vehicles, a segment that is projected to increase to approximately 6.2-million vehicles by 2017. Anticipated to grow by 35 per cent from 2012 to 2017, this compact vehicle segment would far outpace the industry growth rate by 12 percentage points largely on the back of surging demand from urban consumers in developing countries. A strong precursor to an all-new global compact car from Ford, a vehicle such as the Ka Concept could launch in 2014. Designed with many features normally reserved for more expensive vehicles, it offers class-leading fuel economy, a roomy interior with comfortable seating for five, best-in-class air conditioning, and a host of useful technologies such as a central docking station for mobile devices and Ford Sync. These are amenities that are important for compact car buyers who are demanding an ever more robust package of features at an attainable price. "The Ford Ka Concept is aimed at customers in growth markets who want and expect more," said Joe Hinrichs, President of The Americas for Ford Motor Company, who was on hand to unveil the new concept vehicle. "It will delight consumers with its sleek design, clever technology, attention-to-detail quality and superb craftsmanship. It also shows the continued importance of our South American design and engineering capabilities to serve markets around the world. It’s truly another global design and engineering milestone for Ford." The Ka Concept is the second vehicle developed by Ford Brazil following the highly successful EcoSport compact utility. It represents a critical entry in emerging markets such as South America and South Asia, which will jointly make up 44 per cent of the global sub-B compact vehicle segment by 2017. The Ka Concept positions Ford as a strong option and exemplifies the company's One Ford pledge to serve customers in all markets with a full family of vehicles. From a design standpoint, the Ka Concept offers many global Ford design cues including the trapezoidal front grille and detailed surface lines, which reflect the design DNA of Ford's next-generation of global vehicles. The raked hood communicates efficiency and precision, while bold, elongated headlamps add to the long, lean look of the body. Sweeping, curved lines moving from the front of the vehicle to the rear create a sense of movement. The roofline rises from the rear to the trunk lid, where a spoiler, pronounced lines and large taillamps add a strong visual element. The Ford Ka Concept features a best-in-class interior design with quality craftsmanship not often found in such an attainable vehicle. Inventive features include a shoe console side stowage that complements a device-docking station that will serve as the driver's connection point to the world of mobility.